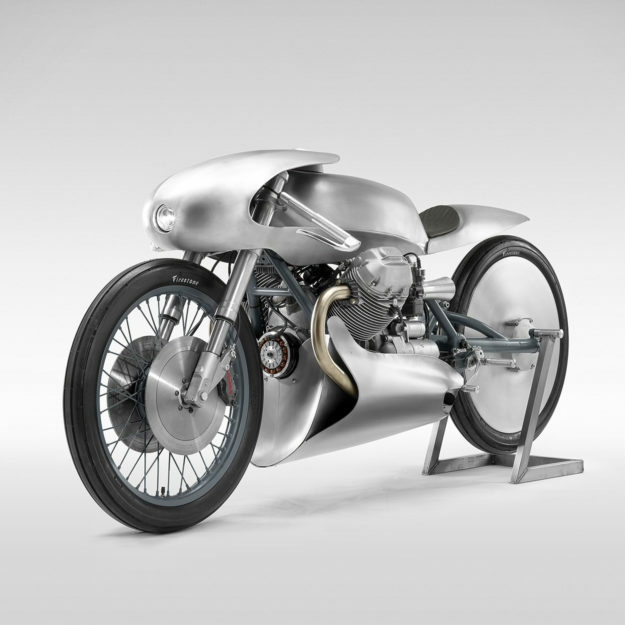 Death Machines Of London return with an aero-inspired Moto Guzzi. 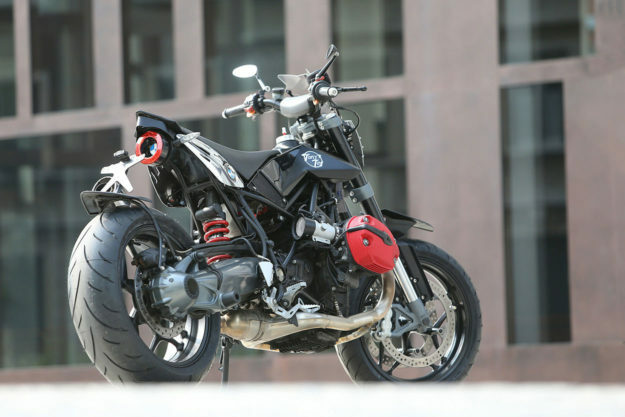 A BMW R 1200 ST gets the radical supermoto treatment. 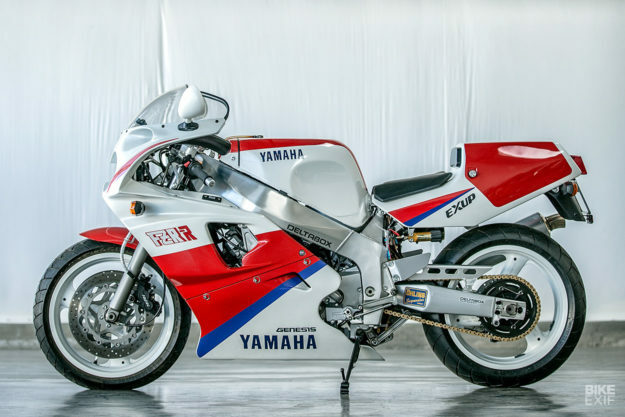 And a pair of delivery-mileage icons go under the hammer at Bonhams: a Honda RC30 and a Yamaha FZR 750RT. Time to buy a lottery ticket? 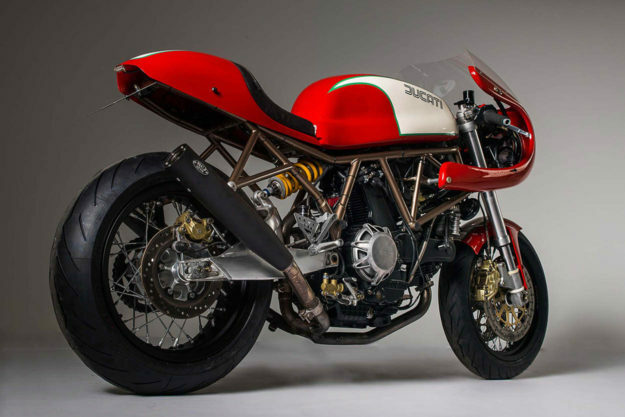 Ducati SuperSport 1000DS by Barn Built Bikes It was many moons ago, but Sven Decoux’s work is no stranger to these parts: the Belgian master built one of the finest Ducati SuperSports I’ve ever seen. Well, Sven’s been at it again and this time around he’s upped the ante well beyond the application of a tricolore scheme. 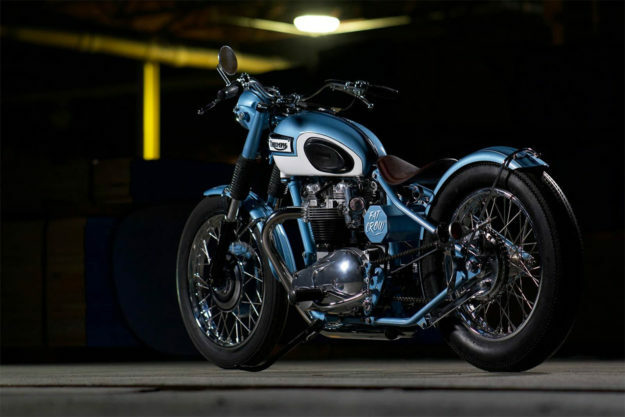 A keen eye might catch the fact that the tank on this new cafe racer is a touch larger. The client behind the build had dreams of riding into the mountain passes without the need of a fuel stop. Nico Dehart was again tapped to fab the custom tank, this time with a 12-liter capacity, and has done another stellar job. Perched atop the bronzed Ducati trellis frame, Dehart’s work is finished finer than any 750SS that ever rolled out of the factory. 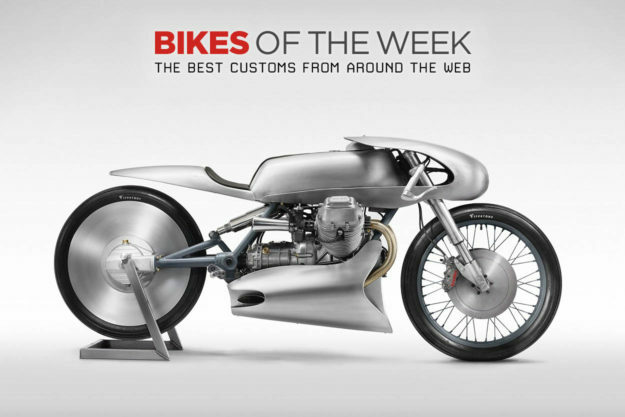 Moto Guzzi ‘Airforce’ by Death Machines Of London Working from a rusted out and long forgotten 1982 Le Mans MkII, James Hilton and Ray Petty have created one of the prettiest Guzzis we’ve ever seen. 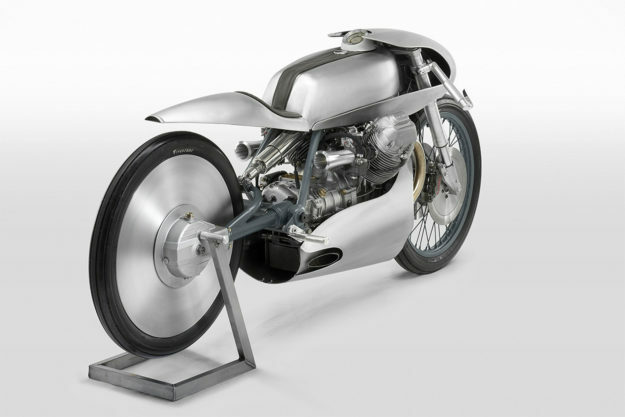 Everything that went into Airforce was meticulously and painstakingly crafted, and pays omaggio to Giovanni Ravelli, one of the WW1 fighter pilots who founded Moto Guzzi. Before the pretty bits could be realized, the donor Guz needed to be stripped down. The transverse twin was rebuilt with new seals, bearings and heads. Dell’Orto carbs were bolted up and breathe through a set of impeccably milled velocity stacks—which have hidden integrated screens that could warrant wall space at the Guggenheim. But of course, many of the details here would. The bodywork was shaped by hand. Resting on a wooden skeletal frame, the aluminum panels were hand beaten, rolled, hammered and sanded into a fluid silhouette. Traditionally, this process involves the use of filler to smooth out dents and imperfections; DMOL used no filler and the raw finish here wouldn’t tear a tissue. 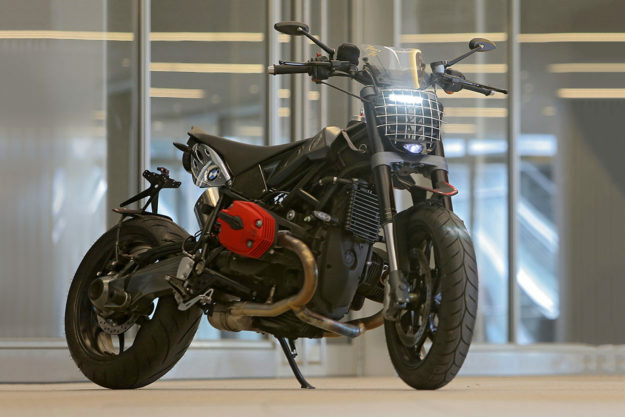 BMW R 1200 ST by Tony’s Toy The thought of turning a 500+ pound Bavarian into a svelte supermoto is just the kind of crazy that raises our eyebrows around here. Diabolika began life as a fully panniered, Bahn-burning BMW R 1200 ST—but after a stint with Tony Calasso, it found the SuMo within and shed the excess to get down to fighting shape. Tipping scales now at around 400 pounds, little from the ST has survived the transformation. The weighty Telelever front end has been scrapped in favor of a traditional set-up, complete with USD forks. That meant some intricate re-working of the frame as well, but the result is said to be a much more nimble machine. 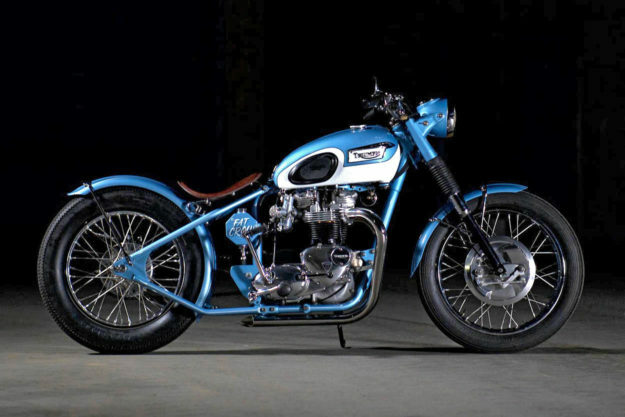 1964 Triumph Bonneville 650 by Vintage Steele Chris John and Josh Steele, the duo behind Vermont’s Vintage Steele, aren’t the first dudes to have a crack at this 1964 Bonnie 650. Bonnies have long been a donor of choice for the custom scene, and in the 80s this one was raked out to within an inch of collapse as a chopper. Thankfully, customizing tastes and haircuts have moved on. Named after the new owner’s restaurant, ‘Fat Crow’ is a clean sheet approach to the vintage bobber style. To make sure the British twin could still churn out some smiles, the engine was subjected to a complete rebuild. It was also treated to an overbore, punching displacement up to 750, before it was meticulously blasted and cleaned to the showpiece level you see now. 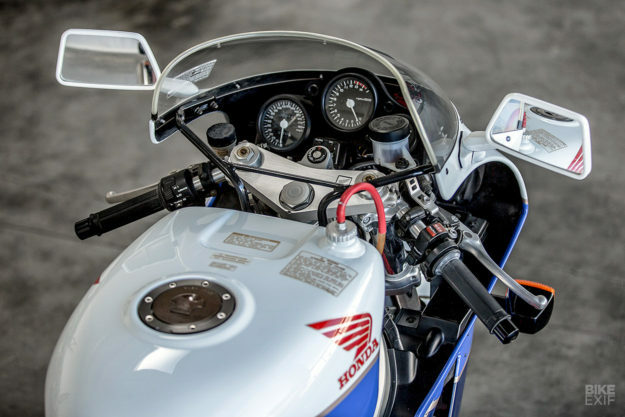 Auction Watch: Honda RC30 and Yamaha FZR 750RT Sportbikes, unless they’ve been resto-modded back to glory, don’t usually find space on our servers. But every now and then one pops up that needs to be shared. 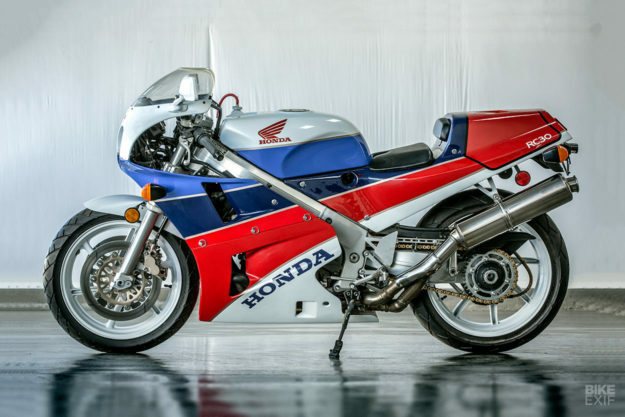 Or in this case, two: hitting the blocks at Bonhams on January 25th are this 1990 Honda RC30 and an equally gorgeous 1991 Yamaha FZR 750RT. They’ve left us wanting access to a time machine ASAP, or a winning lottery ticket. And not because the Honda is projected to snag upwards of $50k and the Yammie somewhere around $35k. 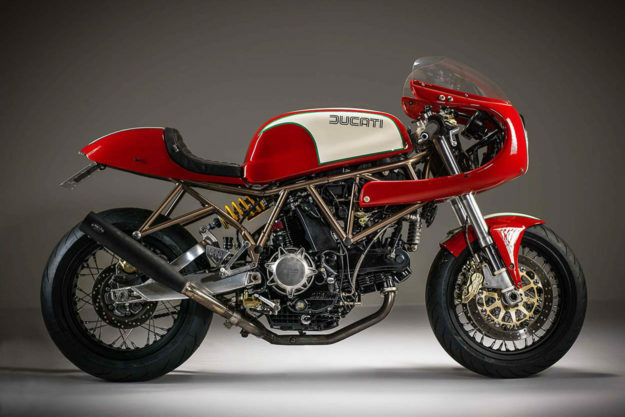 It’s because bikes of this era are possibly the next big trend on the custom horizon, combining the lines and hairy chests of 70s endurance racers with the performance technology that’s got us to where we are now. The Honda RC30 was designed and engineered to deliver World Superbike wins at any cost. Which it did—as well as securing the TT F1 crown, with Carl Fogarty in the saddle. This particular example is quoted as having a mere “14 push miles from new” and is easily the cleanest example to exist today. It showcases VFR hallmarks like the single-sided swingarm, the quick-release front forks and of course, that sonorous V4 Honda engine. 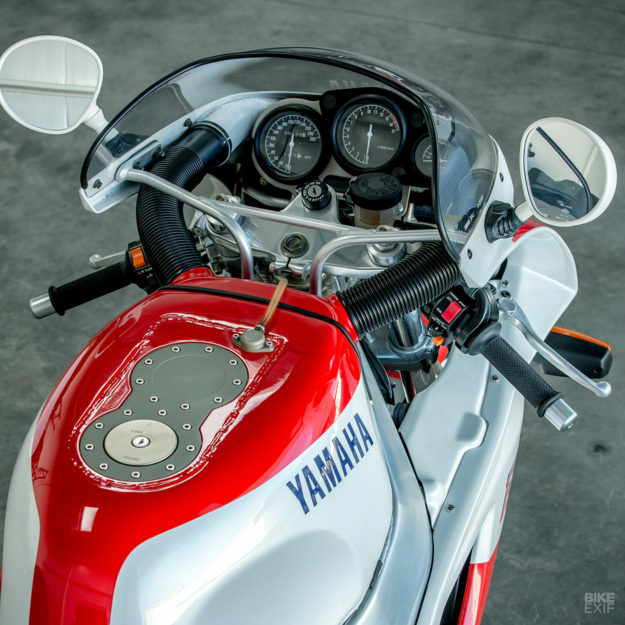 In comparison, the Yamaha FZR 750RT (developed under the codename OW01) has been used and abused—it has a monstrous 74 miles showing on its odo. It is a pretty rare machine nonetheless, with only 500 examples seeing the light of day from the factory, and a mere 30 making it to North American shores. Much like the RC30, this Yammie is the closest thing to a ‘new old stock’ OW01 you will ever see. Normally, I’d hope that whoever buys these bikes will actually ride them, but this time I’d be willing to give them a pass. Provided they let me stop by to drool on the display.